Future is now as the tech giants like Amazon is rolling out its own rolling robot named "Scout" a six-wheeled delivery robot designed to carry your Amazon orders straight to your door, trying to poach shippers from FedEx Corp. and United Parcel Service Inc.
First, Starship Technologies, a robotics firm founded by Skype co-founders Ahti Heinla and Janus Friis in 2014, announced its robots would begin delivering food to dorm rooms at George Mason University in Maryland. Amazon recently expanded its home-delivery service, called Amazon Shipping, beyond test markets in London and Los Angeles. Amazon is offering to pick up shipments from merchants’ warehouses and deliver them directly to shoppers. Developed as a ground-level alternative to Amazon's flying delivery drones, the Scout is effectively an autonomous courier that will navigate the streets rather than the skies. Scout will be assist by a human chaperone. It will function Monday to Friday during daylight hours and will stick to sidewalks. It will only service Prime customers, of course, and presumably there was an opt-in campaign. Amazon Scout walks at a human pace and have a large space to accommodate small and medium-sized parcels.Amazon's robot is no doubt a technological marvel,Yet this is Amazon's first deployment of ground robots, and it's a small one. Starship Technologies, which makes its own six-wheeled delivery robot, has been after local delivery since 2014. Starship has logged well over 100,000 kilometers. The company also has testbeds around the world, including on the streets of London. "College students understand the benefits of technology on campus and expect it to be integrated into their daily lives," said Ryan Tuohy, SVP, Business Development, Starship Technologies. "Students and teachers have little free time as it is, so there is a convenience for them to have their food, groceries and packages delivered to them." 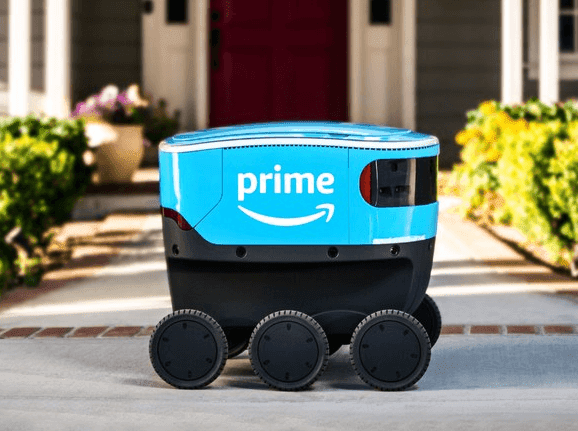 Amazon has begun limited trials of the Scout in Snolhomish County, Washington State.For Amazon, Scout's first deliveries in Washington will help to inform how the company augments its human delivery fleet with robots.